Recent statistics show that a whopping two-thirds of shoppers on e-commerce sites abandon their shopping carts without checking out. As a site owner, you may be wondering why this happens. People love prompt responses to their queries. If they have any uncertainty about their purchase, they may end up not buying the product or service. Lucky for you, Live Chat Plugins for WordPress are available to rescue you during this vital moment. In the world of marketing, live chat is an essential tool that should not be ignored. Live chat helps to insert a human presence and convert website visitors into customers. It does this by allowing you, the website owner, to respond to sales queries in a timely manner. You can attend to customer complaints instantly which in turn keeps your clients happy. The end result is increased returns on investment. If you are looking to add live chat functionality to your WordPress website or blog, this article is for you. Setting up a live chat plugging is pretty simple. The difficult part is picking the right one for your website. We’ve done all the hard work already. This article will list 5 best live chat plugins for WordPress website. Knowing what to look out for will help you make an informed decision. Enjoy reading and tell us which one is your favorite Live Chat Plugin! Zendesk is a popular live chat plugin boasting over 150,000 business customers. It has an eye-catching design, seamless graphics and stylish chat boxes that can be customized to meet your website needs. Its dedicated WordPress plugin makes it easy to install. The dashboard has crucial metrics that let you monitor/track chat history and chat performances. What’s even better is that this software allows you to chat on the go via dedicated Android and iOS apps. This allows you to respond to queries in optimal time. As mentioned, customers do not like to wait. 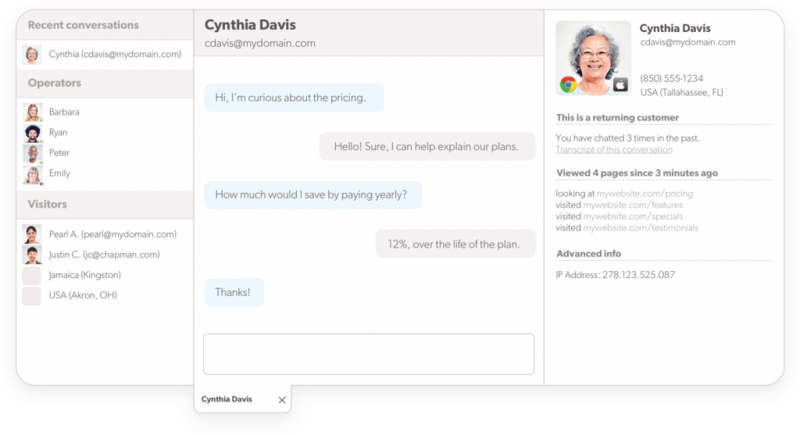 A free subscription lets one agent handle unlimited chats. If you run a small blog, I highly recommend this Live Chat plugin for WordPress. Professional access unlocks other features and starts at $29 per month. Mobile optimized to use on different devices. Proactive chat to increase chances of high-value engagement. Advanced analytics to monitor usage patterns and visitor flow. Live Chat is a great option if you intend to build your marketing strategy around things to which your clients respond. This plugin has cool features and is geared at providing website owners with a live chat solution that is easy to use. It has a 30-day free trial period after which you pay monthly subscriptions at $16 per agent billed annually. 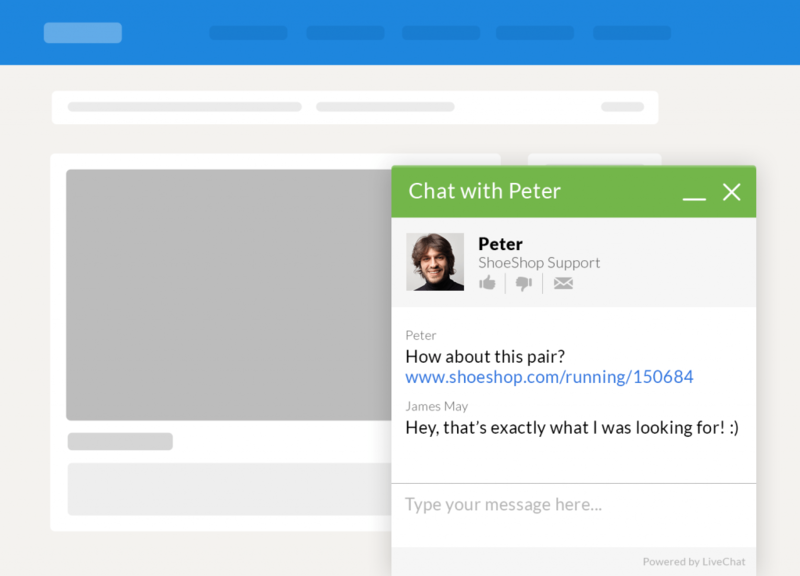 The chat box at the bottom of the page welcomes your visitors to your site. A single click is all they need to open the chat box. Live Chat helps you to know more about your diverse audience by getting you the much-needed feedback. Your customers are given the chance to rate every conversation they have with your agent. They can also give your business a shout-out through the embedded social media shared buttons. During off-hours, your visitors can send a support ticket. You can engage your customers directly. Allows you to get feedback on your feedback. A full history of past chats available. Allows you to integrate with other services like Google Analytics and CRM software. Allows you to create a canned response. Olark is a handy plugin that can be integrated with your WordPress website through a widget. You will receive a code to embed from Olark. Every conversation gives you a detailed analysis of your customer’s activity on your website. You will get full information on the pages visited and activities performed on those pages. It also offers integration with other services like Zendesk and Salesforce. It has different plans for different online businesses. All their plans have free trials. Their starter plan starts at $17 per month billed monthly. If you pay for the whole year, you receive a 10% discount. Allows you to see what your visitors have in their shopping carts to give well-versed responses. You can easily browse through the chat history. 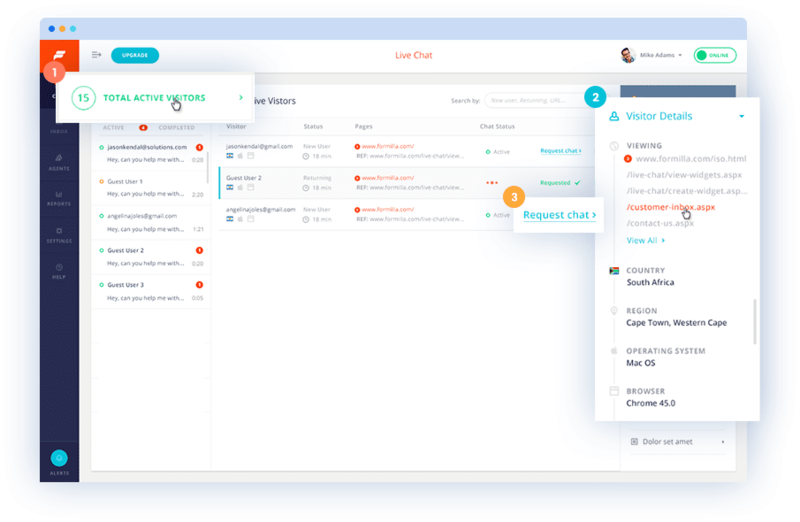 Provides you chat reports that help you track operator responsiveness, customer satisfaction, and chat frequency. Allows you to cluster your operators by team. 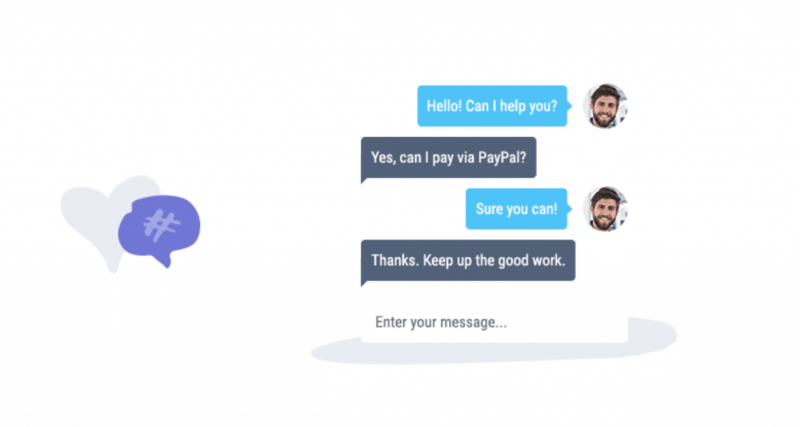 Tidio is another live chat plugin for WordPress, install-and-go live that allows website owners to chat and contact visitors on their websites. This plugin supports over 140 different languages which makes it ideal if you want to obtain a global reach. It has analytics to help you monitor website activities and offline message option. You can also continue the conversation via email if a visitor leaves the chat due to poor connection or any other reason. 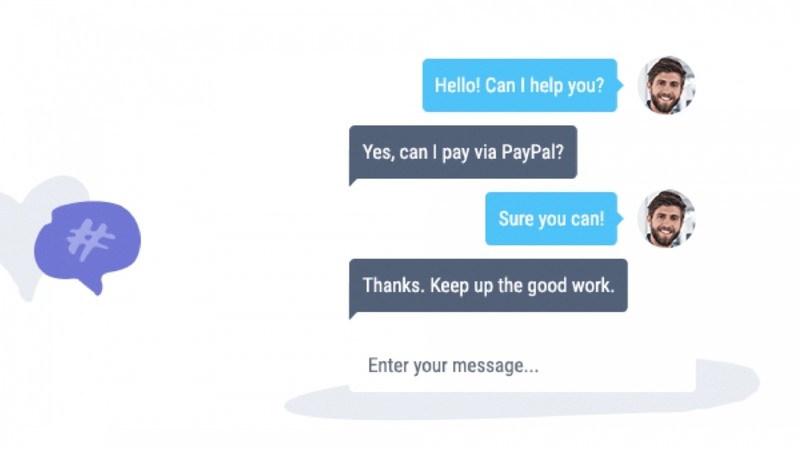 This plugin provides you with 3 sleek chat box designs to choose from. You can customize with a color that best represents your brand. You can additionally handle chats by installing dedicated Android, iOS and desktop apps. 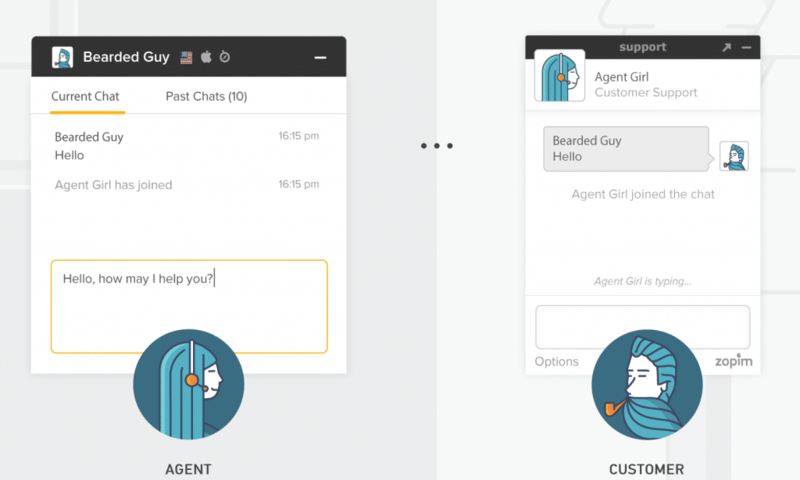 Tidio’s free version allows you to have one agent and one chat open. To get the premium version, you have to part with $15 per month. The premium version allows unrestricted concurrent chats and automatic messages. Analytics to help you track visitor behavior. 3 outstanding chat box designs to choose from. Has dedicated mobile and PC apps. Formilla is an excellent choice if you are searching for a free live chat plugin. The free package gives you one agent and one concurrent chat. In a month you receive up to thirty chats. It has a clean, easy-to-use and customizable interface that appeals to many website owners. If you want more volume, you can upgrade to their premium version with $11.99 per month. It also lets you access chats via iOS and Android apps. Live chat is a powerful tool that allows you to provide unparalleled customer service by addressing customer problems instantly. Responding to sales queries in real-time helps your drive healthier conversions. All our featured live chat plugins for WordPress include some form of free plan, you have no excuse for a website owner not to give one of the five a try!